Throughout the Mid-Atlantic, drivers are dealing with a surge in potholes. State departments of transportation are reporting an upsurge of potholes in what many are considering the worst season in years. The long winter and severe temperature changes of 2018 made it a banner year for potholes. Mid-Atlantic weather conditions create the ideal environment for depressions and ruts to thrive. 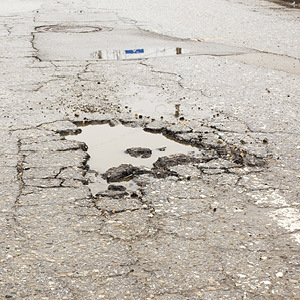 The AAA Auto Club claims that pothole damage costs drivers $3 billion annually. But what are the catalysts triggering these seemingly random road scourges to form in the first place? Preventative pothole maintenance is a cost factor in infrastructure spending. Funding the coffers to pay for asphalt breaches is generally drawn from the infrastructure budget. Pothole.info estimates that every $1 million not spent this year will cost $7 million in the next five years — which doesn’t include potential motorist vehicle damage cost. In many cities across the U.S., communities are turning to social media to combat the overwhelming number of potholes. Local governments are leveraging Facebook and Twitter, and citizen reporting to identify pothole locations. Road crews are often dispatched to fix the holes. Furthermore, the social platform provides the opportunity for city officials and citizens to work together as active problem-solvers, neutralizing a contentious issue. Others have taken a less conventional route to address the nuisance. Anton Schuurmans of Brussels is raising road infrastructure awareness about potholes by planting flowers within the hole. This trend is not meant to fix the problem, but to positively, and a bit humorously, bring attention to it. The flower warns local motorists to be cautious and appears to have attracted the attention of the city. Schuurmans explains that just two days after he planted a flower in a local pothole, it was fixed. Here in the U.S., Domino’s Pizza is providing infrastructure grants in select cities as part of a new marketing campaign, “Paving for Pizza” — currently taking on pothole repair in Athens, Georgia. ; Bartonville, Texas; Burbank, California; and Milford, Delaware. Considering there are 2.68 million miles of paved roads in the country and that continuous pothole rehabilitation comes with a high price tag, it’s no wonder that many are looking to innovations and new technologies to reduce the cost and improve the life-expectancy of pothole repair. According to the National Surface Transportation Policy and Revenue Study Commission, the price to maintain the nation’s road infrastructure is estimated to cost $185 billion per year over the next 50 years (you do the math). However, the nation is currently spending only $68 billion a year. The void between actual spending and required spending, coupled with the daily headache of driving on pothole-riddled roads, is pushing the boundaries of asphalt science. 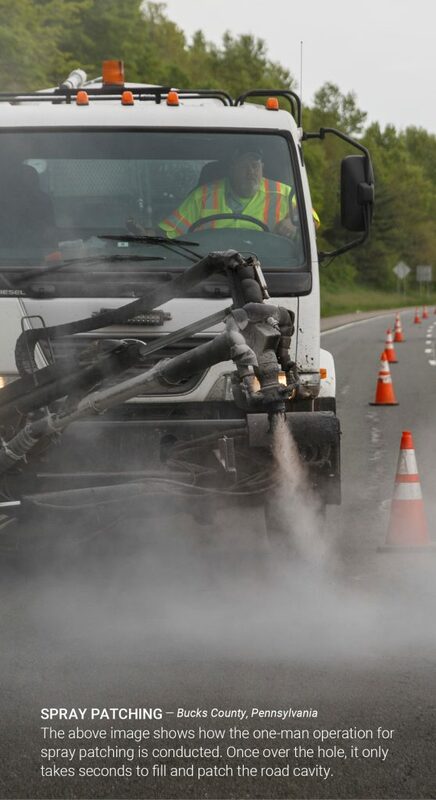 Spray patching: is a one-man operation and is conducted by driving a truck affixed with a spray injection system. The operator centers the system’s arm over the crevasse and sprays an emulsion blend into the hole. The complete process takes just a few minutes. Iron-oxide nanoparticles: this experimental technology requires ground iron ore containing magnetite be mixed in with the asphalt. The reason for mixing the special blend is that it quickly heats when microwaves are applied to the patch area. The magnetite heats up which eliminates moisture and improves the integrity of patch, because hot mix adheres better to the surrounding asphalt. Granted, roadways are not built with ground iron ore, but researchers see a bright future for this technique. Pothole prediction with road scanners: an international team of researchers is exploring 2D and 3D mapping of road surfaces to monitor underlying damage that may predict where potholes are likely to form. To conduct the survey, a large scanner is attached to the front of a van. The van then drives around collecting data that is built into a three-dimensional map. 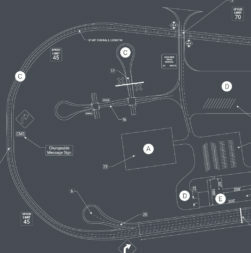 The map informs engineers where raveling is present and in theory, the agencies responsible for pothole management could plan funding and resources around the predicted repair needs of the coming year. 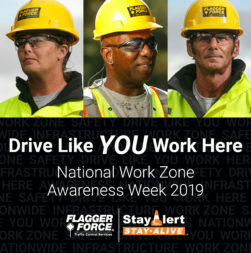 Infrastructure maintenance is crucial to our roadway systems and the safety of our communities. Could the use of social media and new innovations lead to a brighter future where potholes and motorists live in harmony? Perhaps that’s a far-reaching hope, but through a combination of awareness, technological advancement, and community involvement, action plans can evolve, and problems will become opportunities. Throughout the Mid-Atlantic, drivers are dealing with a surge in potholes. State departments of transportation are reporting an upsurge of potholes in what many are considering the worst season in years. 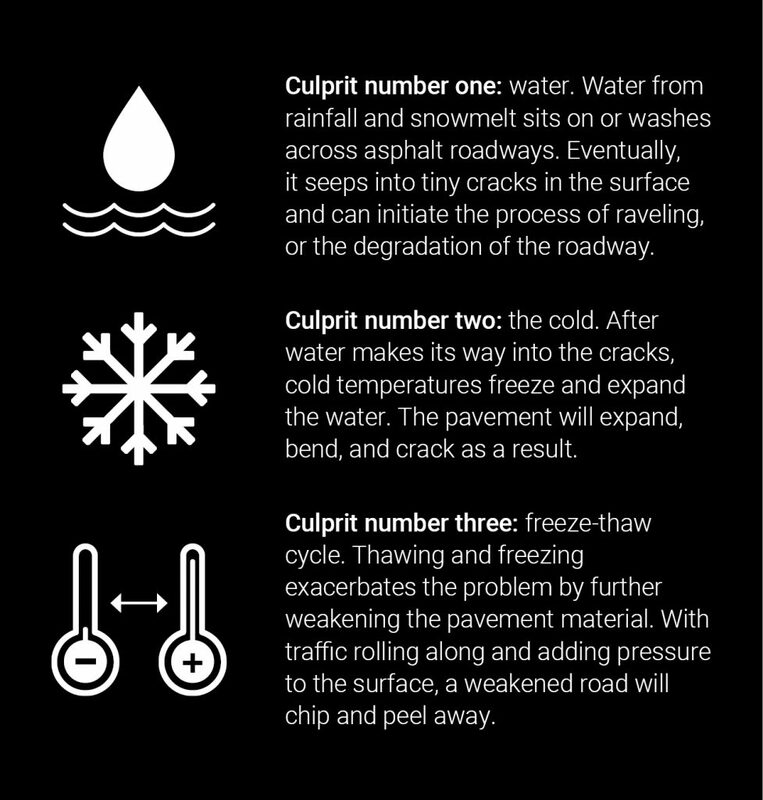 The long winter and severe temperature changes of 2018 made it a banner year for potholes.